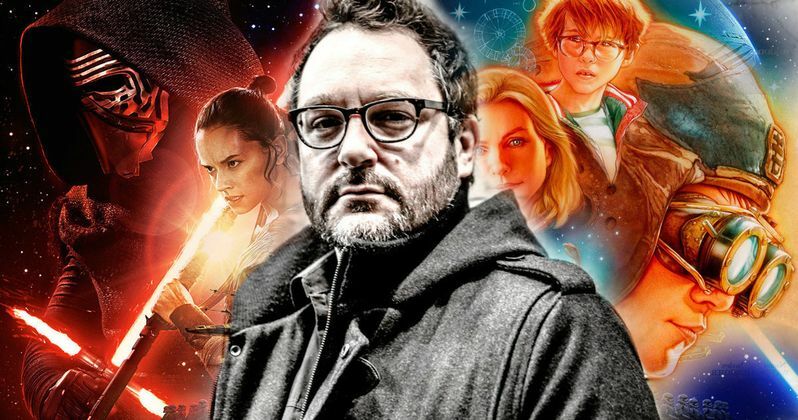 Later this summer, director J.J. Abrams will return to direct Star Wars 9, which was originally slated to be directed by Colin Trevorrow before he was surprisingly removed from the project. With Jurassic World: Fallen Kingdom, which he co-wrote with Derek Connolly and served as an executive producer, hitting theaters, Trevorrow has started to make the press rounds, and in a new interview, he has opened up about his dismissal from the project, and if the vastly negative reactions to his film The Book of Henry had anything to do with his firing. Here's what he had to say below. "You know, I don't know. I mean, I can't really speculate on it. I'll tell you that the reaction to Book of Henry was far more damaging than the actual movie. And I don't mean specifically at Lucasfilm. I mean, that was a very acidic situation. And, look, every director who has worked in Lucasfilm put their heart and soul into the job and they left it all on the field, and the bottom line here is that sometimes creative people can't find a shared path through the woods." After the massive success that LucasFilm had with J.J. Abrams' Star Wars: The Force Awakens, the studio has had issues with most of their directors since then. There has long been speculation that, despite getting full credit, Gareth Edwards was actually fired from Rogue One: A Star Wars Story. While LucasFilm clearly loved working with Star Wars: The Last Jedi director Rian Johnson so much, since they gave the filmmaker a whole new trilogy to develop, the studio made the shocking decision to fire Solo: A Star Wars Story directors Phil Lord and Chris Miller, and they also unceremoniously removed Josh Trank from their mysterious spin-off which was said to be a Boba Fett movie. When asked about being part of this group of filmmakers who have been removed from Star Wars projects, Trevorrow had this to say. "I know all of them. These are friends of mine and I was very close to them through all of their experiences. And Star Wars is a very personal thing to all of them, to a lot of people, and there are some people out there, and I know folks might think we're crazy, but people like me, who actually believe that there is an all-powerful force that binds the galaxy together. And when you're one of those people, you're dealing with your belief system, you're not just dealing with a movie. And so, yeah, that is a very personal loss." Trevorrow started his career with the 2012 indie hit Safety Not Guaranteed, which lead to his first major studio film, 2015's Jurassic World, which broke the box office record for biggest opening weekend with $208.8 million. The director was attached to a number of projects after that, but he ended up taking on Star Wars 9, coming aboard to direct and write the script with his longtime collaborator Derek Connolly, who he worked with the script on Safety Not Guaranteed, Jurassic World and this month's Jurassic World: Fallen Kingdom. He's now getting ready to return to the massive franchise with Jurassic World 3, which he is slated to direct. You can head over to Uproxx for their full interview with a very candid Colin Trevorrow.